Aglo System’s commitment to improve your lighting experience has led us into becoming one of the few companies that can provide government rebate discounts on track spotlights. 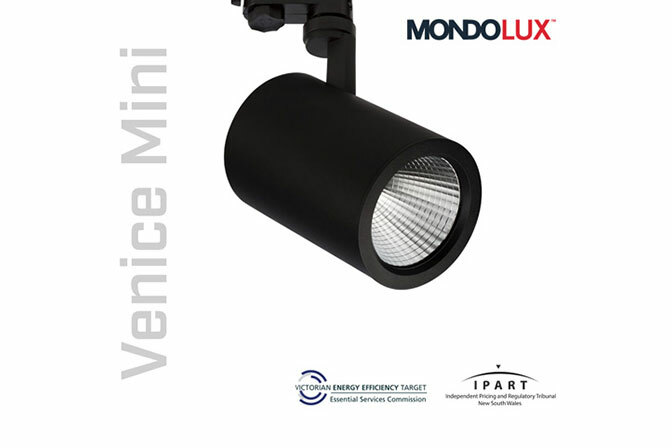 Our Venice Mini Spotlight, one of our Mondolux top range products, has become a VEET and IPART approved spotlight. In other words, our Venice Mini is now available for government subsidies. If you want to improve your customer experience, showcase your products better or refresh the look and feel of your store while receiving upfront government subsidies, give us a call for a free assessment.